Hear this client testimonial from Las Vegas pastry chef Michael Kim about how Benson & Bingham helped him through his taxi accident. Taxi Cab accidents occur very frequently in the Las Vegas and Reno Valleys. Tourists who visit are obviously the victims in these horrible accidents. As a fault free passenger, most victims are without seat belt and sitting in the rear of the vehicle. Often times we represent multiple passengers who are sitting in the back and front of the cab when they are rear-ended or “t-boned” in an intersection. These victims have rights. Most of the time, the seat belts are not available, stuck in the seat, or simply not transparent to the passengers. Nevada Law does not mandate seat belt use in a civil case. Nevada does have a seat belt law, but the issue is irrelevant in an accident case. Taxi drivers usually are in a hurry. The more they drive the more they make. Thus, careless drivers abound. It is important to realize that not only are passengers injured in these vehicles, as our firm represents many clients in accidents that occur in valets, around hotels, bus stops, and near the strip. Besides the usual neck and back injuries, we deal with run over feet, legs, and shin injuries. The most common out of cab accident is the run over foot accident. You just paid the driver and he hurries to the next pick up and in the process runs over your foot—sometimes crushing the foot, the bones, tendons and ligaments. When nerve damage occurs, the foot can be permanently damaged. Tires attack shoes and crush feet. Benson & Bingham work with many specialists to ensure quality medial care to their clients. Here is a Second Video of How Negligence can Play a part in a Highway Injury from a Taxi Accident (Note: Sound is overlayed due to language). NRS 706.251 Report of crash: Requirements; preservation; confidentiality. Every person operating a vehicle used by any motor carrier under the jurisdiction of the Authority shall forthwith report each crash occurring on the public highway, wherein the vehicle may have injured the person or property of some person other than the person or property carried by the vehicle, to the sheriff or other peace officer of the county where the crash occurred. If the crash immediately or proximately causes death, the person in charge of the vehicle, or any officer investigating the crash, shall furnish to the Authority such detailed report thereof as required by the Authority. All crash reports required in this section must be filed in the office of the Authority and there preserved. A crash report made as required by this chapter, or any report of the Authority made pursuant to any crash investigation made by it, is not open to public inspection and must not be disclosed to any person, except upon order of the Authority. The reports must not be admitted as evidence or used for any purpose in any action for damages growing out of any matter mentioned in the crash report or report of any such investigation. Insurance Coverage is also a requirement. Currently, the law mandates the following coverages under NRS 706.305 equaling $250,000 per person, $500,000 for two or more persons. In addition, a cab company may provide self-insurance, a bond, or provide security in the amount of $500,000 with the State instead of providing insurance. These amounts are required, but are not the minimum amounts that may be carried. For example, in Las Vegas, the largest cab company, Frias Cab, owns and operates the following brands: Ace, Anlv Cab, Union Cab, Vegas Western, Virgin Valley. Frias Transportation company. Frias is self insured and may also carry additional coverage to protect the assets of the company. 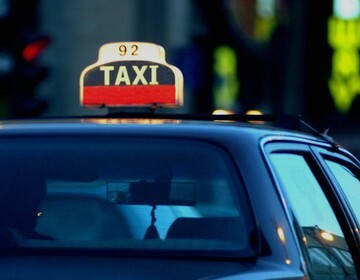 Smaller cabs may not carry as much insurance as there is not the assets to protect. Unlike many other states, individual taxi medallions (the permit for each taxi), are owed by the company. NRS 706.3052 Operator of taxicab may provide self-insurance; exception. Except as otherwise provided in subsection 2, an operator of a taxicab may operate under a program of self-insurance in compliance with the provisions of NRS 706.3054 or 706.3056 in lieu of the insurance against liability required by the regulations adopted pursuant to NRS 706.305. NRS 706.3054 Operator of taxicab may file bond in lieu of insurance. In lieu of the insurance against liability required by the regulations adopted pursuant to NRS 706.305, an operator of a taxicab may file with the Department: (a) A bond of a surety company authorized to transact business in this State; or (b) A bond with at least two individual sureties each owning real property within this State, and together having equities equal in value to at least twice the amount of the bond, if the real property is scheduled in the bond and the bond is approved by a judge of a court of record. Any bond filed pursuant to subsection 1 must be conditioned for payments in the amounts and under the same circumstances as would be required in a contract of insurance against liability complying with the regulations adopted pursuant to NRS 706.305. The bond may not be cancelled unless 10 days before cancellation written notice is given to the Department. Upon the filing of notice by the Department in the office of the county clerk of the county where the real property is located, the bond constitutes a lien in favor of the State upon the real property scheduled in the bond. The lien exists in favor of any holder of a judgment against the person who has filed the bond. NRS 706.3056 Operator of taxicab may deposit security with Department in lieu of insurance. In lieu of the insurance against liability required by the regulations adopted pursuant to NRS 706.305, an operator of a taxicab may deposit with the Department: (a)Any security in the amount of $500,000; or (b) An amount equal to 110 percent of the average annual costs of claims incurred by the operator for crashes involving motor vehicles during the immediately preceding 3 years,  whichever is less, but in no event may the deposit be less than $250,000. The security deposited may be in any form authorized by NRS 706.3058. The Department shall not accept a deposit unless it is accompanied by evidence that there are no unsatisfied judgments of any character against the depositor in the county where the depositor resides. An operator of a taxicab depositing money with the Department pursuant to subsection 1, shall authorize payments from the deposit in the amounts and under the same circumstances as would be required in a contract of insurance against liability which is in compliance with the regulations adopted pursuant to NRS 706.305. Any security deposited must be used to satisfy any judgment obtained against the depositor which is final and has not been paid within 30 days after the date of the judgment, unless otherwise ordered by the court issuing the judgment. A depositor, within 24 hours after receiving notice that the security has been used to satisfy a judgment obtained against the depositor, shall deposit with the Department an amount which is necessary to maintain with the Department the amount required by subsection 1. The failure to maintain the full amount required by subsection 1 is a ground for the cancellation of the depositor’s certificate of self-insurance. If you or someone you know has questions about riding in a Nevada taxi and need a Reno taxi lawyer or a Las Vegas taxi lawyer contact the office of Benson and Bingham. "I was coming home from work one night, and a taxi hit me from behind. After the accident, I wasn't sure if I could ever work again. I did a little search through the internet for personal injury lawyers, and met with Joe Benson. He was really concerned with my health and well being. He really cared making sure I was healthy again. Thank you Joe Benson."